1. You told me you weren’t always Christian. What led to your conversion? I was messing around ,channeling demons and something very real and very evil went through me. I was Satanist in the tradition of Anton Levay. I did not believe in an actual literal devil. I saw him as as a symbol of liberation and freedom. Where as I saw the Christian God as a symbol of repression and ignorance. But that night I became convinced that there were supernatural forces at work and the one I encountered was malicious. I came to a saving knowledge of Christ within two weeks. So, literally, Satan Worship brought me to God (but I don’t recommend that path). It is just proof that God can use anything to draw others to him. 2. What is your favorite biblical verse and why? Philippians 4:13. Because the very fact I am here today and in my right mind is proof I can do all things through Christ who strengthens me. I have been faced with schizophrenia, mental, physical and sexual abuse as well as various physical problems, but the strength our savior has given me has allowed me to persevere. Ruth- her compassion for and loyalty towards Naomi really inspires me. 4. I know that you and I are both wrestling fans. What would you say to someone who says Christians shouldn’t endorse wrestling? Before I get into volume 6, I thought I’d explain why I’ve been posting these articles. I am a huge Neil Gaiman fan. Many fans agree that Sandman is his best creation ever. (I’d also cite American Gods and Coraline) I’m also disappointed that the Vertigo imprint is gone. It was the best thing about DC. While Sandman actually started before the Vertigo imprint, it was still one of the imprint’s most well-known titles, second only to Hellblazer (which I have yet to read, sadly.) For years, these two comics defined the imprint’s desire to present well-written stories with mature themes. Fables and Reflections is the second of the three volumes that actually collect short stories rather than focusing on arcs. (The others are Dream Country–vol. 3–and World’s End–vol. 8.) Because of this, you might think it can be skipped. I disagree. 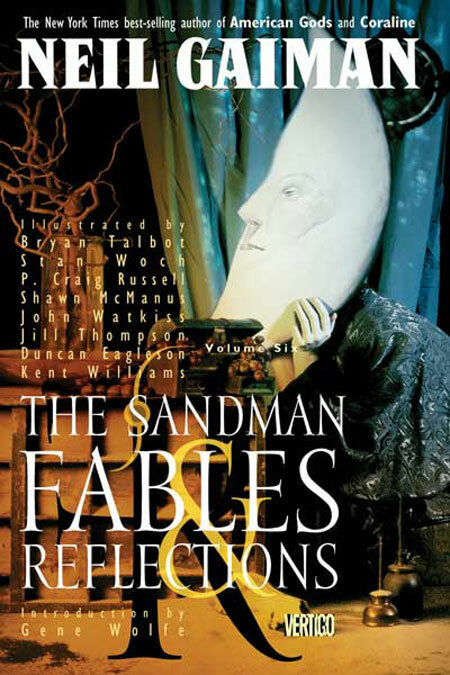 If you are going to read Sandman, you have to read all of it, even the short stories. I recently read a book called Carly’s Voice, written by Arthur Fleischmann. It’s about his struggle to connect with his autistic daughter, Carly. My mom saw the book online and thought I should read it. I was ecstatic to read it because like many on the autism spectrum, Carly is non-verbal. Because of this, her family did not know how to communicate with her. Arthur shares many of the struggles he had attempting to comprehend her. He put her up for Applied Behavioral Analysis (ABA), in an effort to curb many of her autistic behaviors. I’ve heard very few positive things about ABA, mostly because it’s used by people who do not realize that behaviors that are considered stimming, like rocking back and forth or flapping arms, are actually just part of being autistic. He even admits that he installed a security system to curb her frequent wandering. This discovery made Carly a celebrity, thanks to her getting a Facebook page. She even appeared on the Ellen DeGeneres Show. What was once a quiet, enigmatic girl had slowly become a vibrant woman, eager to share her thoughts with anyone who would allow her time. Sadly, recently things have taken a dark turn. 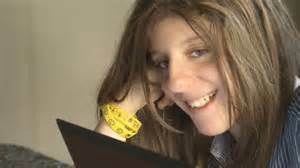 Last year, Carly was given Electro-Convulsive Therapy (ECT), in the hopes of helping her cope with her Obsessive Compulsive Disorder, or OCD. OCD is often co-morbid with autism. ECT is a controversial “therapy” consisting of administering electric shocks when a subject is not exhibiting acceptable behavior. It is an outgrowth of ABA that is sadly still practiced today, despite the harm it puts patients in. 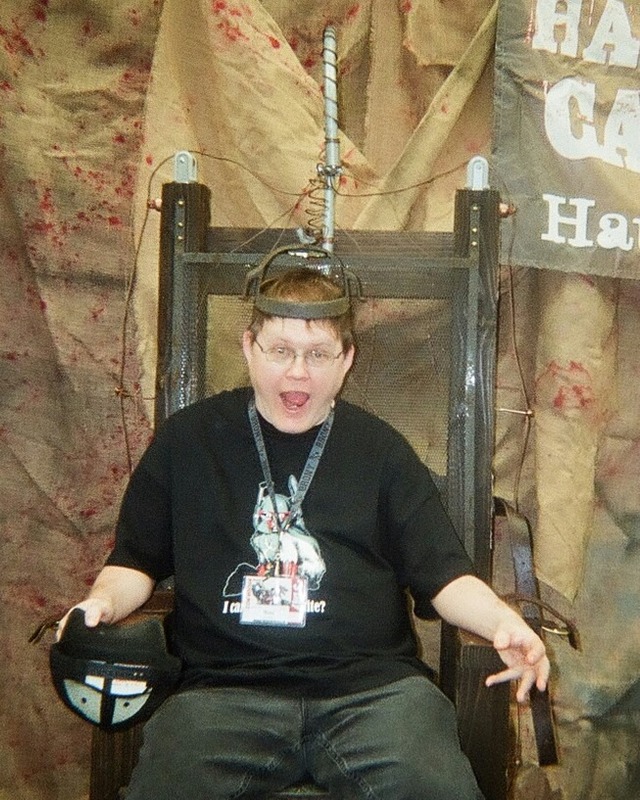 It is most infamously practiced at the Judge Rotenberg Center,which is funded by Autism Speaks itself. Lydia Brown, who has a blog called Autistic Hoya, has written several articles about the horrible facility, in an effort to raise awareness so that it will be shut down. The Autism Advocacy Network (ASAN) has a four-part article on their site written by a survivor of the Center named Jennifer. I agree with Lydia Brown that this facility should be shut down. Because of this so-called therapy, all the work that unlocked Carly’s potential has now been undone. Last December, Carly broke the silence and posted to her Facebook page a status that was nearly unintelligible. The “therapy” had damaged the area of her brain associated with language. She is now unable to communicate, neither verbally nor non-verbally. People are now angry with her father, and with good reason. I’m not saying he deserves all this anger directed at him, but I can understand the anger. He continuously tells people on the page that everything is fine. No, Mr. Fleischmann, everything is NOT fine. She is crying for help, and it is all your fault. All in your efforts to make her “normal”. This is why ASAN’s motto is “Nothing About Us Without Us”. If you are going to help autistic people, you are supposed to listen to them, and NOT the way Autism Speaks pretends to. Perhaps there is still hope. Let us all pray that she recovers from the torture she has received and does not retreat into the darkness. Humans need to communicate, either verbally or non-verbally. I want to hear her voice once more.